Magnesium alloys as the lightest commercial structural materials have wide application prospects such as in the medical application. However, it is difficult to sinter Mg alloys dense when powder metallurgy was used because of the oxide layers covered by the surface of Mg powders. 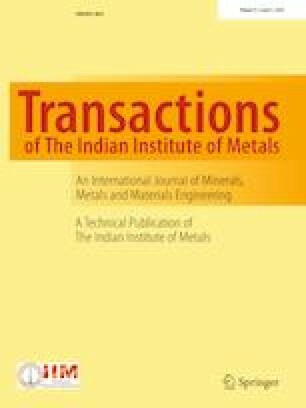 To solve this problem, Mg–3Zn and Mg–3Mn alloys were sintered under vacuum system in this study. Mg–3Zn and Mg–3Mn compactions were sintered at different temperatures for 2 h based on their phase diagrams in the vacuum furnace. The results show that when sintered at 560 °C, the highest microhardness and relative density of Mg–3Zn alloy are 74.3 HV and 98.4%, respectively. For Mg–3Mn alloy, its highest corresponding value is 46.08 HV and 86.6%, respectively, when sintered at 600 °C. Mg–3Mn is more difficult to be sintered because it is denser than Mg–3Zn. The microstructure of sintered Mg–3Zn and Mg–3Mn mainly is composed of α-Mg and MgZn2, and α-Mn, α-Mg and MnO2, respectively. The authors gratefully acknowledge the financial support of Young Scholars development fund of SWPU (No. 201599010066) and the National Natural Science Foundation of China (No. 51704255).